Full Service Digital Reprographics Serving the Architectural, Engineering and Construction Industries for 20+ Years! We get you exactly what you need and when you need it! Providing you with crisp & clean prints, Delivered on-time, every order. Automate your office and increase efficiency with our Managed Print Services! 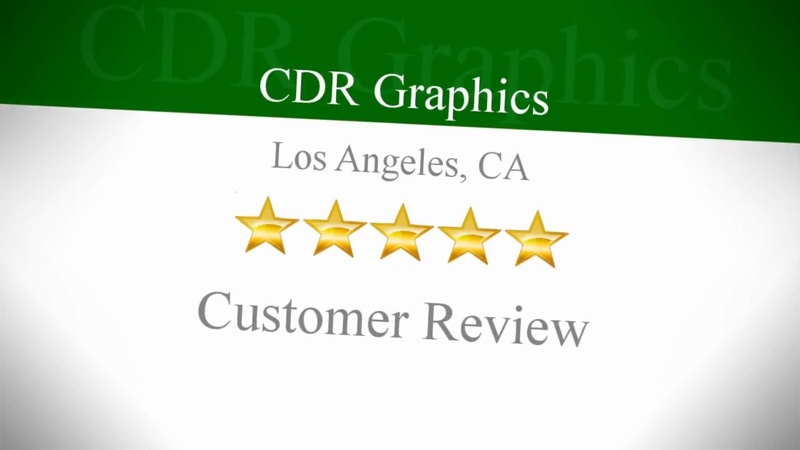 If it is important to you, it is important to CDR Graphics. CDR Graphics is a full-service reprographics printing center committed to providing you and your business with the high-quality printing services you require on a regular basis. For over 20 years, we have built relationships with many different businesses—including A/E/C (Architectural, Engineering, Construction) firms throughout Los Angeles. Our one-on-one customer support provides you with the expertise you need for quick, reliable printing every time. With convenient locations in Downtown Los Angeles, South Bay, and West Los Angeles, CDR Graphics is there for you when you need us. We specialize in producing printing materials for many different industries—including A/E/C companies, graphic arts, manufacturers, entertainment industries, and more. Our printing centers are equipped to handle all of your specialized printing needs including large format and wide format printing. Whether you need blueprints or a banner, we bring all of your projects to life with our state-of-the-art equipment and materials. Our professional team is dedicated to making sure your needs are met with premium quality services at competitive pricing. Get in touch with CDR Graphics today to begin a profitable and long-lasting partnership with the industry-leading experts.